Post et la maison du faisceau sur le lac de Frederick. 15 minutes à Halifax (sortie 4 103). Regarder le lever du soleil sur un lac vierge sur cette belle propriété dans le lac des Bois, Hubley. Profitez de vastes jardins pérennes avec un grand étang de nénuphars et cascade en toute intimité. Marchez ses jardins zen et le labyrinthe 7 du circuit. La nature est tout autour. Solitude et évasion et pourtant si proche de la ville. Nager dans l'eau du lac chaud entouré de nature sauvage ceinture de verdure. Pagayez le canot à partir de votre propre quai privé. Visite avec les huards, les castors et les loutres. Profitez des feux de joie sur la roche et les rails aux sentiers de randonnée est à proximité. Cette maison a été construite en 1996. Fenêtres et portes en verre couvrent toute l'étendue de la maison donnant sur le lac. A l'étage Loft: La chambre principale dispose d'une salle de bains complète, grand jacuzzi, dressing et sauna. Il y a aussi une étude avec un futon. Étage principal: Le concept ouvert espace de vie dispose d'une cuisine spacieuse, avec une bonne taille cellier, buanderie et de stockage. La salle à manger et salon partagent un foyer au propane à quatre côtés. Il y a aussi une deuxième chambre avec sa propre cheminée et fontaine d'eau et une salle de bain en quatre parties. 1. It is NOT a 2 bedroom home. There is one bedroom. The other one is a completely open loft. The home has multiple windows with no coverings. Not a family friendly rental at all. 3. Not an honest renter. We had a window break while we were all sitting on a couch (presumably a bird flew into it). Even though we told the renter it was not our fault, she kept our entire damage deposit. DO NOT RENT HERE. Not family friendly. Not clean. >30 minutes from downtown Halifax. Understandably this renter was upset with losing their damage deposit which has never happened before with all the previous many wonderful renters. Their story about a bird flying into it and flying away was not possible according to the professional repairman. The house has always been professionally cleaned by a very reputable service and there's never ever been a complaint about cleanliness The house is always in immaculate condition and no scent ever in the sheets for sure. All dishes are done by a high temp Kitchenaid dishwasher. There is no mould anywhere as owners are highly allergic to it. It is advertised and kept as an environmentally safe house. Bathtub has some small permanent marks from someone using oil of wintergreen instead of eucalyptus as is explained in the property's information book. All appliances are extremely clean. No curtains are used to let in lots of light and the beautiful lakefront view and there are no houses or neighbours anywhere near or in sight so no need for curtains. Ants have been epidemic everywhere in NS this summer due to the unusual heat wave. We have 2 toddler grandchildren and know where to put ant poison so they don't get anywhere near it. These guests complained of fruit flies and had left bananas and apples in the warm pantry Also the dirty paper towels were in the dry paper recycling bin inside instead of the outside compost bin. Garbage was not sorted properly and there was much food waste in it instead of the compost bin. Nasty to sort through and clean. Also there was a used Axe deodorant in the bathroom garbage in an environmentally 'safe' home where it is very clearly explained why these aren't allowed and where natural high quality products are supplied as part of the generous amenities. Yes it is understood it is not pleasant to lose a damage deposits but to say untrue comments in a review as a result is not acceptable. Our family of four had a lovely one week stay at this great property. 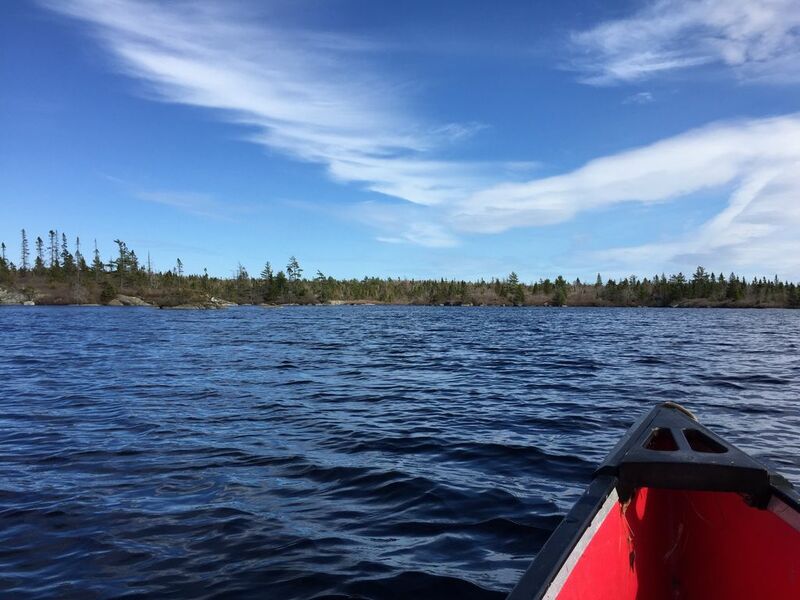 The location is amazing - situated on a quiet lake yet only 20 mins from downtown Halifax. The property itself is very secluded with wonderful views of the lake. There are great amenities for the lake like water shoes and life jackets. The house also has great amenities including a stocked kitchen, tv, jacuzzi tub, washer and dryer, etc however there is no air conditioning so sleeping on the main floor was more comfortable than the second floor. Overall, we really enjoyed our stay! Thanks so much. Very glad you enjoyed your stay. We've never had such a heat wave in recorded history Glad its over! Kind of worrying re global warming. My family and I had a great time staying at the property. It was very quiet and secluded. The layout of the house was very open and my wife and daughter absolutely loved the window seat. Was very centralized location for exploring Halifax and the surrounding areas. The lake was very pristine and the canoe was fun to use. Thank you again for allowing us to stay at your home. This open concept house on a lake is really just 15 minutes from Halifax (if you avoid rush hour). It's very secluded, warm, plenty of room for the three of us. The beds are very comfortable and the kitchen has plenty of pots, pans, dished, etc. We used the washer / dryer which worked great. There were a few quirks (like some light switches in the upstairs loft that are tucked behind a sauna), but nothing major. We were a little confused about the fragrance free rules, but the owner answered all of my questions very promptly. Overall it was really a great place to stay. I would highly recommend it! Very peaceful and beautiful lakefront view. We really enjoyed our stay at the Lakefront Paradise. The house has a comfortable feel to it and the deck and dock were relaxing places to start the day and unwind the days. Beautiful location, we loved being right on a wilderness lake. The house was spacious with many cozy areas. Very relaxing. We were also able to get to the sights of Nova Scotia easily from there. Thanks very much I'm so glad you enjoyed your stay. And many thanks for leaving everything so nice and clean and tidy. I really appreciated it very much. Retraite lac privée très avant. Souvent utilisé pour des événements spirituels comme les célébrations du solstice, les passages de terre, les jours de méditation. Près de Halifax et de son théâtre en plein air Shakespeare by the Sea en plein air, du festival Busker, des magnifiques jardins publics, du parc Point Pleasant et de la promenade Waterfront. Excellentes galeries d'art et gastronomie.